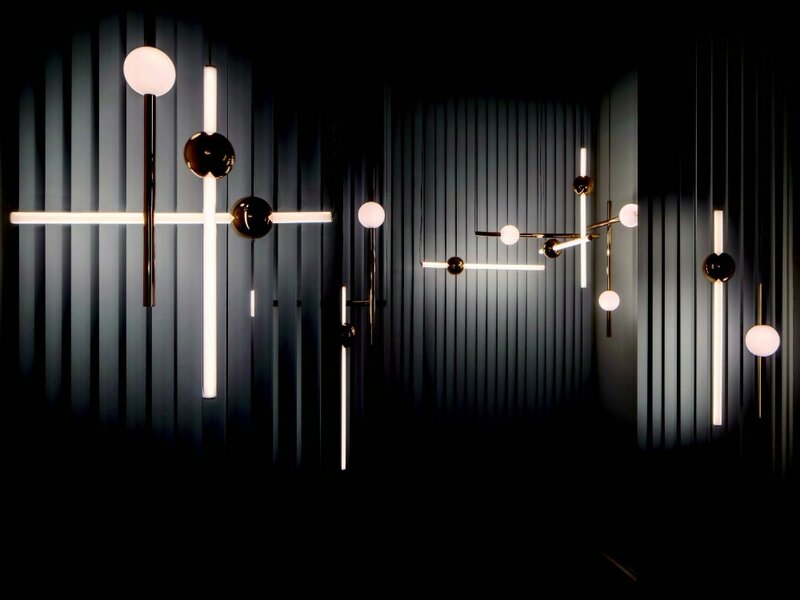 Lighting designer Lee Broom illuminates the world with unforgettable flair. While British lighting designer Lee Broom was presented with the Queen’s Award for Enterprise—the U.K.’s highest accolade for business success—by Queen Elizabeth in 2015, it’s unlikely that his dramatic, modern fixtures hung in conservative, traditional Buckingham Palace. But the Duke and Duchess of Sussex are a different story. “Meghan Markle had several of my products in her Toronto home,” says Broom. They most definitely made it to her new, royal abode. Broom took a rather circuitous route to where he is today—that is, designing, manufacturing and retailing his signature collections all over the world. A child actor at 17, he entered a fashion design contest on a whim and ended up winning the grand prize. One of the judges was legendary fashionista Vivienne Westwood, who gave Broom an internship. While studying fashion at university, Broom would call upon restaurants, offering decor advice for extra cash. Soon he was making curtains, mirrors and frames. Upon graduation, he was offered a plum project setting the scheme of a London establishment, and his fascination with fashion faded.